A great little place to get away to your home away from home. A very quiet street with only 3 other houses and they are not close,also a dead end street. The bungalow is 100 years old and has been decorated mainly in older vintage type furnishings but with comphy beds and nice linen. This place has a great garden and rural outlook and often stunning sunsets. It is an easy walk into town and takeaway coffee at the end of the street. I also live on the same property but theres plenty of room and privacy for us all ..i come and go so may not even be there. The 2 single beds in the sunroom are great in the summer months but too cold during the winter...May-Nov. The other 2 rooms are nice and cosy during the winter once the amazing fire is going. Im sure u would enjoy your stay. We really enjoyed our stay at Vivian’s home. We stayed there for five nights and biked the rail trail that goes right by the house. We made all our own meals and the house had everything we required. Especially enjoyed the outside porch with the roof where we ate all our meals even in the rain. Vivian was very generous with leaving us plenty of essentials in the fridge and pantry. Outside grounds were lovely and enjoyed the flowers and gardens. Very peaceful and quiet. Felt like we were in the country but easy walk in to town. I enjoyed our stay in this lovely 100 year old Bungalow. I loved the beautiful garden and rural outlook. Clean, comfortable and close to town. 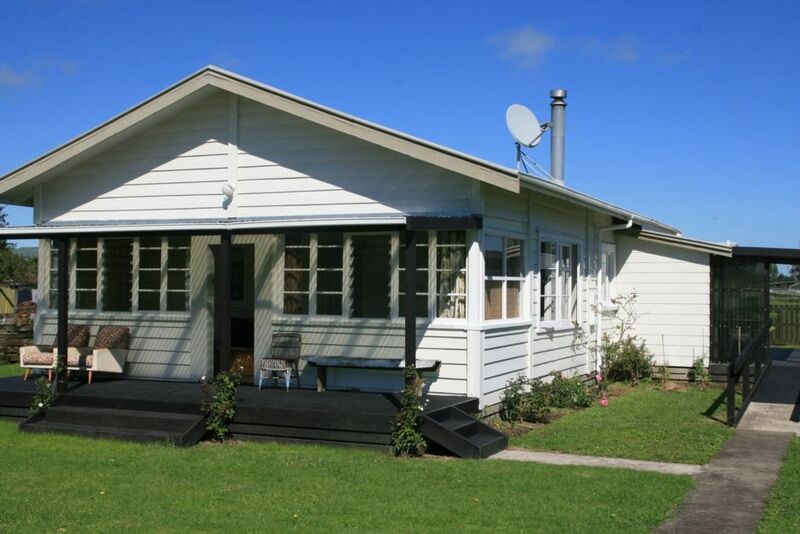 Centrally located to enable travel to tourist places such as Rotorua and the Coramandel. Beautiful gardens and very quiet. The cottage has charming and authentic details throughout, including a clothesline for hanging out clothes, a beautiful garden, and well equipped kitchen. It is really close to the Hauraki Rail Trail. We rented bikes in Paeroa. This is a lovely location, quiet and in the country. A great kiwi experience. Look for warm blankets in the cupboards as it can get chilly at night. Very handy to township and roads to Tauranga Hamilton and Te Aroha. The proerty was not fenced so other animals are able to vist!! Very handy to Rail trail! !